Barbara and David Zalaznick’s generous endowment makes it possible for the Creative Writing Program to invite several writers, who range from debut poets and novelists to nationally and internationally renowned writers, to campus each semester. In the selection, we consider how writers would impact our curriculum, faculty, and our graduate and undergraduate literature and writing students. Consequently, the reading series has become an integrated and valuable part of our students' education. It is also beneficial to the artistic community at large, since the readings are free and open to the public. A book signing and reception follow each reading, at which the audience has the opportunity to meet the visiting writer. MFA and PhD students are invited to a separate informal gathering with the visiting writer. Writers may also be asked to visit classes or participate in events involving various student groups, and we host a continental breakfast open to interested undergraduate students. Past writers have included Cornell alumna and Nobel Prize winner Toni Morrison, former US poets laureate Billy Collins and Charles Simic, Irish poets Eavan Boland and Seamus Heaney, and novelists Salman Rushdie and Margaret Atwood. The program has also included former Cornell MFA graduates such as best-selling author Melissa Bank (MFA ’88), Thurber Prize for American Humor winner Julie Schumacher (MFA ’86), National Book Award finalist and Orange Prize-winner Téa Obreht (MFA ’09), and Man Booker Prize finalist NoViolet Bulawayo (MFA ’10). The Zalaznick Reading Series endowment is also able to supplement our other endowed series, including the Robert Chasen Memorial Poetry Reading, the Richard Cleaveland Memorial Reading, and the Eamon McEneaney Memorial Reading. To be added to the email list for announcements of upcoming readings, please send an email to creativewriting@cornell.edu. Watch archived English events here. When: Feb. 7, 4:30 p.m.
Robert Morgan is the author of fifteen books of poems, most recently Terroir and Dark Energy . He has published eleven works of fiction, including Gap Creek and Chasing the North Star . Nonfiction works include Boone: A Biography and Lions of the West . Recipient of awards from the Guggenheim Foundation and the American Academy of Arts and Letters, he is a member of the Fellowship of Southern Writers. A native of western North Carolina, he is currently Kappa Alpha Professor of English at Cornell University. Ernesto Quiñónez is a product of public education, from kindergarten to his Masters at the City College of New York. 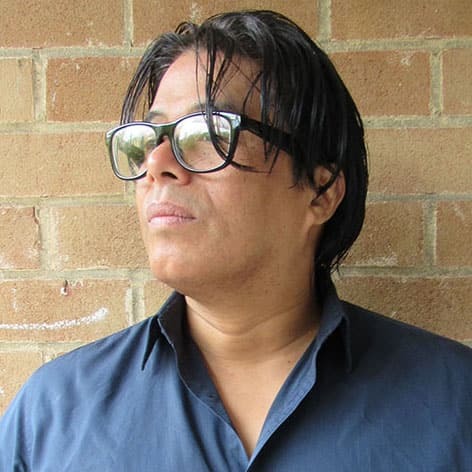 He is the author of the novel Bodega Dreams and an associate professor of English at Cornell University. The Richard Cleaveland Memorial Reading was created in 2002 by family and friends of Richard Cleaveland, Cornell Class of ’74, to honor his memory. When: Mar. 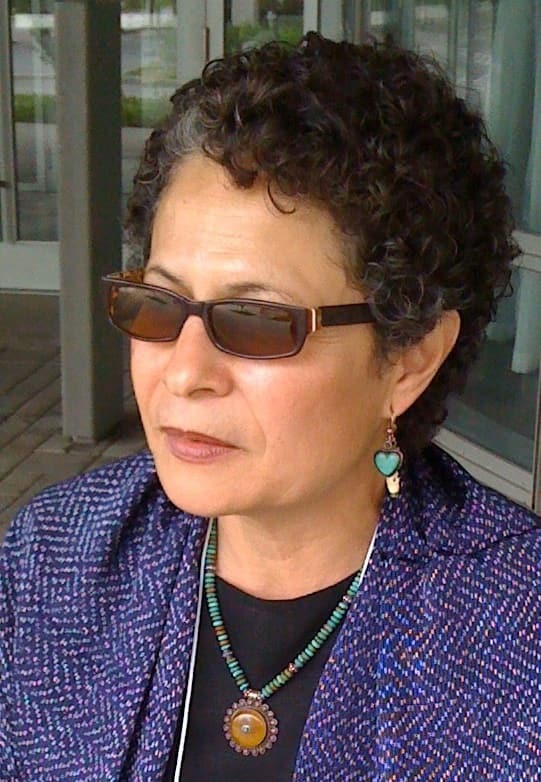 14, 4:30 p.m.
Elissa Washuta is a member of the Cowlitz Indian Tribe and a nonfiction writer. She is the author of Starvation Mode and My Body Is a Book of Rules , named a finalist for the Washington State Book Award. With Theresa Warburton, she is co-editor of the anthology Shapes of Native Nonfiction: Collected Essays by Contemporary Writers . She has received fellowships and awards from the National Endowment for the Arts, Artist Trust, 4Culture, Potlatch Fund, and Hugo House. Washuta is an assistant professor of creative writing at The Ohio State University. When: Apr. 18, 5:00 p.m. 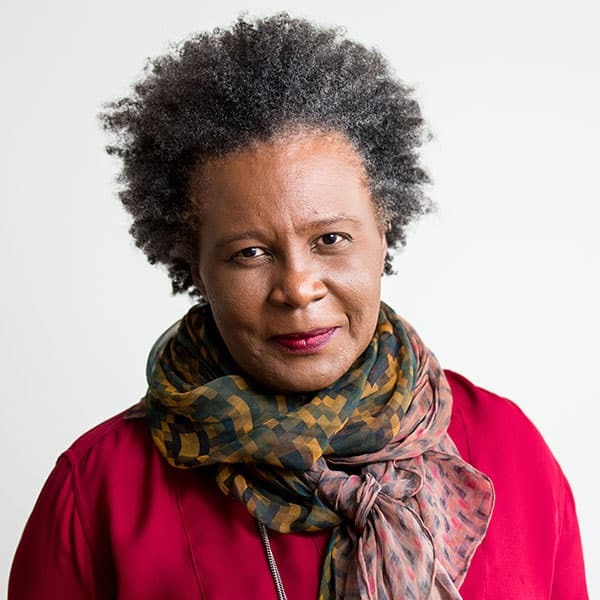 Recipient of the 2016 MacArthur Fellowship, Claudia Rankine is the author of five collections of poetry. Rankine is the recipient of the Poets & Writers’ Jackson Poetry Prize and fellowships from the Lannan Foundation and the National Endowment of the Arts. Rankine’s bestselling book, Citizen: An American Lyric , was the winner of the 2015 Forward Prize for Best Collection, the National Book Critics Circle Award for Poetry (it was also a finalist in the criticism category, making it the first book in the award’s history to be a double nominee), the NAACP Image Award, the PEN Open Book Award, and the LA Times Book Award for poetry. Citizen also holds the distinction of being the only poetry book to be a New York Times bestseller in the nonfiction category. She teaches at Yale University as the Frederick Iseman Professor of Poetry. The Robert Chasen Memorial Poetry Reading is a biennial event, featuring a public reading by a distinguished poet. It was established in 1980 by Margaret Rosenzweig, '32, in memory of Robert Chasen. Free admission - Ticket required. Tickets to this event will be available at the Willard Straight Resource Center (4th/Main floor) from Friday, March 1 and while supplies last. Doors will open at 4:30p.m. When: Apr. 25, 4:30 p.m.
Robert Casper is the head of the Poetry and Literature Center at the Library of Congress. Casper will talk about his own post-MFA degree experience and the career trajectory that built on that degree to reach his prestigious position, followed by a Q&A. This informal conversation may assist students in making their own career goals. The founding publisher of the literary magazine jubilat, Robert Casper has worked for the Council of Literary Magazines and Presses (where he served on the board) and the Poetry Society of America. He also served as the poetry chair of the Brooklyn Borough President’s Literary Council; as a member of the Poetry Coalition, LitNet, and the National Writer’s Museum National Advisory Council; and as a judge/panelist for the National Endowment for the Art’s “Poetry Out Loud” competition and “Great American Read” initiative, the PBS “Great American Read” Advisory Panel, the National Student Poets Program, and the National Youth Poet Laureate initiative, among others. He lives in Brooklyn with his wife, the poet Matthea Harvey. "Caribbean Migrations and Imperial Projects"
When: May 1, 4:30 p.m. This installment will comprise a wide-ranging conversation about Ishion Hutchinson's and Carole Boyce Davies' creative and scholarly work archiving the Caribbean experience during global conflicts. Ishion Hutchinson was born in Port Antonio, Jamaica. He is the author of two poetry collections: Far District and House of Lords and Commons . He is the recipient of the National Book Critics Circle Award for Poetry, a Guggenheim Fellowship, Joseph Brodsky Rome Prize, the Whiting Writers Award, the PEN/Joyce Osterweil Award, and the American Academy of Arts and Letters Award in Literature, among others. He is a contributing editor to the literary journals The Common and Tongue: A Journal of Writing & Art . 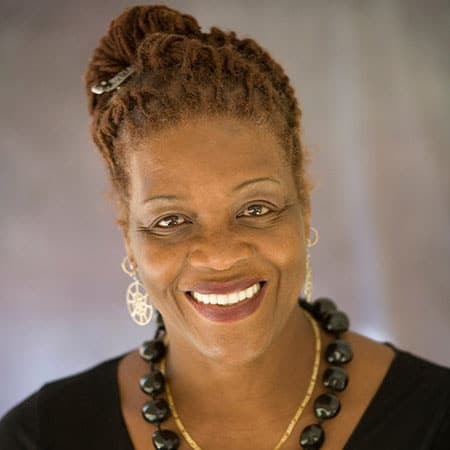 Carole Boyce Davies is a professor of English and Africana Studies at Cornell University. She has held distinguished professorships at a number of institutions, including the Herskovits Professor of African Studies and Professor of Comparative Literary Studies and African American Studies at Northwestern University. She is the author of Black Women, Writing and Identity: Migrations of the Subject and Left of Karl Marx: The Political Life of Black Communist Claudia Jones . Her most recent monograph is Caribbean Spaces: Escape Routes from Twilight Zones and a children’s book, Walking . In A Word is a series that showcases the Creative Writing Program’s influences and contributions to the literary world by its dedicated faculty of fiction writers and poets. When: May. 11, 3:00 p.m. The Department of English Program in Creative Writing proudly presents the MFA Graduation Reading! Fiction writers Remy Barnes, Nneoma Ike-Njoku, Alice Mercier and Charlotte Pattison, and poets Christopher Hewitt, Frances Revel, Sasha Smith and Alice Turski will share work from their theses or other works-in-progress. 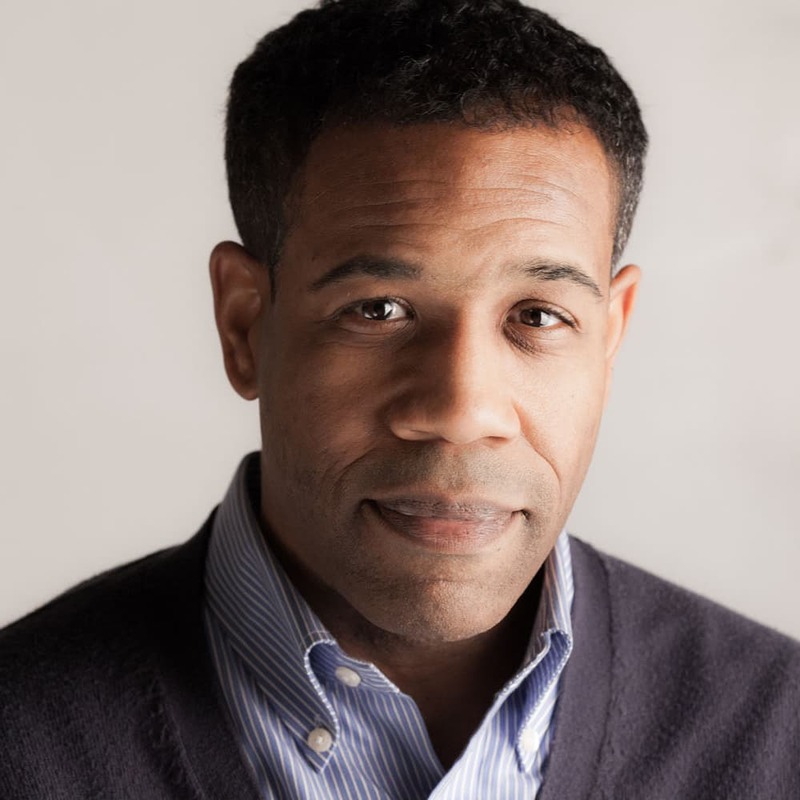 When: Sept. 27, 4:30 p.m.
Gregory Pardlo's ​collection​ Digest won the 2015 Pulitzer Prize for Poetry. His other honors​ include fellowships from the Guggenheim Foundation, the National Endowment for the Arts, and the New York Foundation for the Arts; his first collection, Totem , was selected by Brenda Hillman for the APR/Honickman Prize in 2007. He is Poetry Editor of Virginia Quarterly Review. Air Traffic , a memoir in essays, was released by Knopf in April. When: Oct. 11, 4:30 p.m.
Alice McDermott’s eighth novel, The Ninth Hour , was a finalist for the 2017 National Book Critics Circle Award and the 2017 Kirkus Prize for Fiction. Her seventh novel, Someone , was a finalist for the Dublin IMPAC Award, the National Book Critics Circle Award, the Patterson Prize for Fiction, and the Dayton Literary Peace Prize. Three of her previous novels— After This , At Weddings and Wakes , and That Night —were finalists for the Pulitzer Prize. Charming Billy won the National Book Award for fiction in 1998. She is the Richard A. Macksey Professor of the Humanities at Johns Hopkins University. This reading is made possible by Eamon McEneaney’s Cornell teammates, family, and friends. In addition to being one of Cornell’s most talented and best-loved athletes, Eamon McEneaney ’77 was a dedicated husband and father, loyal friend, prolific writer and poet, and an American hero. He died on September 11, 2001, in the North Tower of the World Trade Center. When: Oct. 25, 4:30 p.m.
Viet Thanh Nguyen’s novel The Sympathizer is a New York Times best seller and won the 2016 Pulitzer Prize for Fiction. His current book is the bestselling short story collection, The Refugees . Most recently he has been the recipient of fellowships from the Guggenheim and MacArthur Foundations. He is a University Professor, the Aerol Arnold Chair of English, and a Professor of English, American Studies and Ethnicity, and Comparative Literature at the University of Southern California. He is a critic-at-large for the Los Angeles Times and a contributing opinion writer for the New York Times . When: Nov. 8, 4:30 p.m.
Catherine Chung was born in Evanston, IL and studied mathematics at the University of Chicago before receiving her MFA from Cornell. She is the author of Forgotten Country , and the recipient of a National Endowment for the Arts Fellowship, an Honorable Mention for the PEN/Hemingway Award, a Granta New Voice, and a fiction editor at Guernica Magazine . Her new novel, The Tenth Muse , is forthcoming from Ecco in 2019. 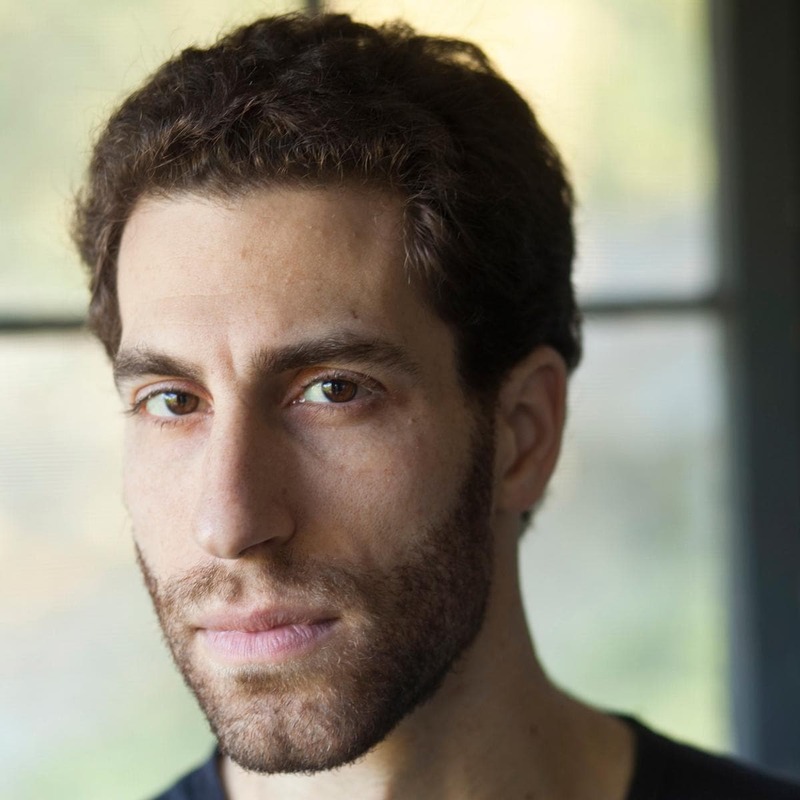 Ezra Dan Feldman is the author of Habitat of Stones , which won the Patricia Bibby First Book Award. He has published in RHINO , Crazyhorse , DIAGRAM , the Los Angeles Review , Gertrude , and other journals. He teaches English and Science and Technology Studies at Williams College. 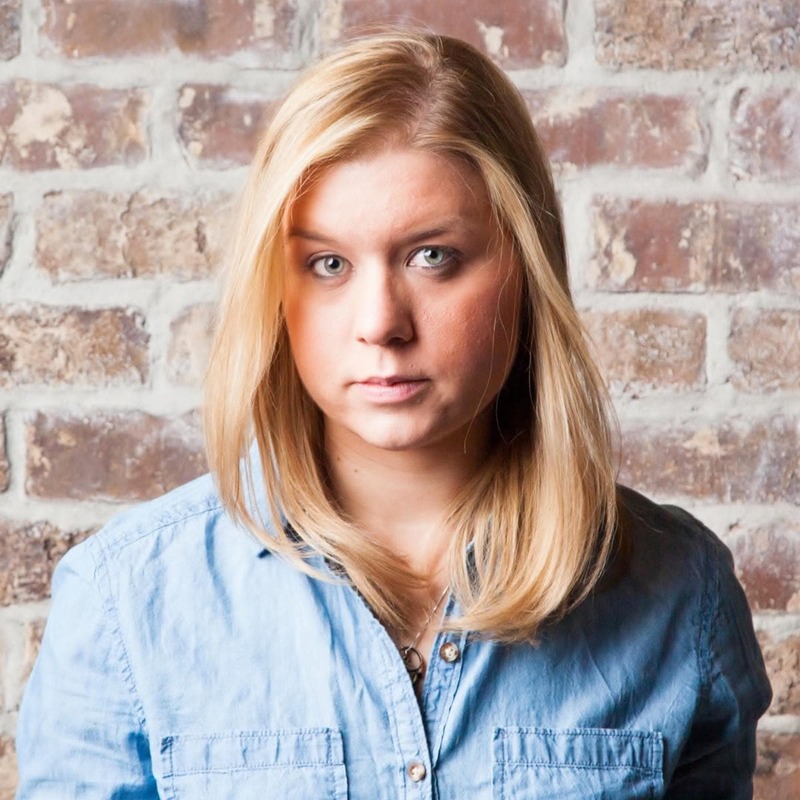 Sara Eliza Johnson’s first book, Bone Map , won the 2013 National Poetry Series. She is a recipient of an NEA Fellowship in poetry, a Rona Jaffe Writers’ Award, and two fellowships from the Fine Arts Work Center in Provincetown, among other honors. Her work has appeared or is forthcoming in Virginia Quarterly Review , Boston Review , Crazyhorse , Blackbird , and elsewhere. 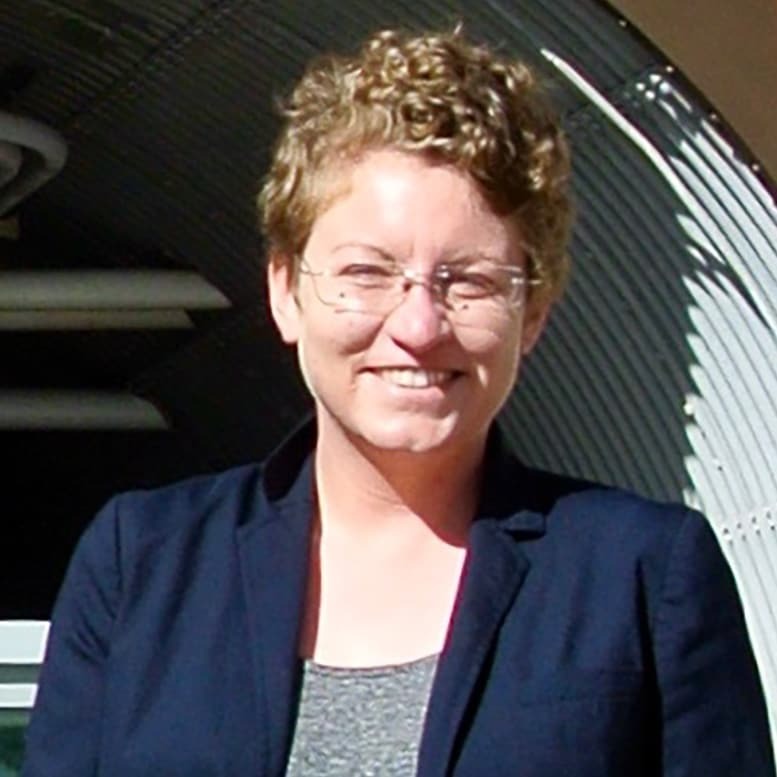 Sarah Scoles is the author of the book Making Contact: Jill Tarter and the Search for Extraterrestrial Intelligence . She is a contributing reporter at WIRED and a contributing editor at Popular Science , and her nonfiction work has also appeared in The Atlantic , The Washington Post , Slate , Scientific American , and others. Her fiction has been published in the Alaska Quarterly Review , Catapult , LIT , and other journals. Philip Freund ’29, MA ’32, was a novelist, short-story writer, poet, documentary film writer, playwright, television dramatist, essayist, and literary critic. The Philip Freund Prize for Creative Writing honors graduates upon their successful publication. When: Feb. 1, 4:30 p.m.
Julie Sheehan is the author of three poetry collections: Bar Book: Poems & Otherwise ; Orient Point ; and Thaw . Honors include a Whiting Writers’ Award; NYFA Fellowship in Poetry; Robert H. Winner prize from Poetry Society of America; and, from Paris Review , the Bernard F. Conners prize. Her poems have appeared in such magazines as The New Yorker , The New Republic , Parnassus , Kenyon Review , The Rumpus , Prairie Schooner , and Yale Review ; and such anthologies as The Best American Poetry, 180 More , and Good Poems, American Places . She is on the core faculty of the MFA in Creative Writing program at Stony Brook Southampton and is the Zalaznick Distinguished Visiting Writer of the Cornell University Department of English for Spring 2018. When: Feb. 8, 4:30 p.m.
J. Robert Lennon is the author of two story collections, Pieces For The Left Hand and See You in Paradise , and eight novels, including Mailman , Familiar , and Broken River . His short fiction has appeared in The New Yorker , Granta , The Paris Review , and Harper’s , and his criticism in The London Review of Books , The Guardian , and The New York Times Book Review . Lyrae Van Clief-Stefanon is the author of Open Interval , a 2009 National Book Award finalist, and Black Swan , winner of the 2001 Cave Canem Poetry Prize, as well as Poems in Conversation and a Conversation , a chapbook collaboration with Elizabeth Alexander. Currently at work on The Coal Tar Colors , her third poetry collection, she has written plays and lyrics for The Cherry, an Ithaca arts collective. She was one of ten celebrated poets commissioned to write poems inspired by Jacob Lawrence’s Migration Series in conjunction with the 2015 exhibit One-Way Ticket: Jacob Lawrence’s Migration Series and Other Works for MoMA. When: Mar. 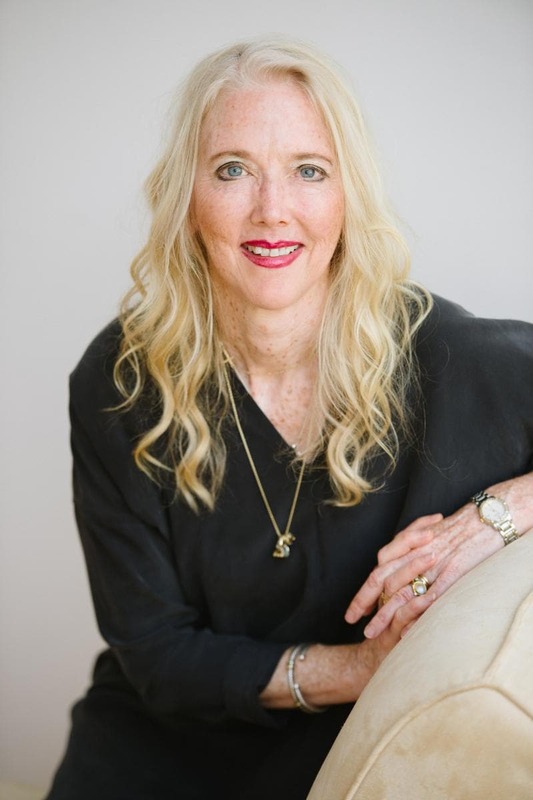 15, 4:30 p.m.
Julie Schumacher (MFA Cornell 1986) is the author of nine books, including the national bestseller Dear Committee Members , winner of the Thurber Prize for American Humor. She is the only woman to have won the Thurber Prize. Schumacher’s first novel, The Body Is Water , was an ALA Notable Book of the Year and a finalist for the PEN/Hemingway Award, and her essays and short stories have appeared in The Atlantic , The New York Times , The Wall Street Journal , and The Chronicle for Higher Education . 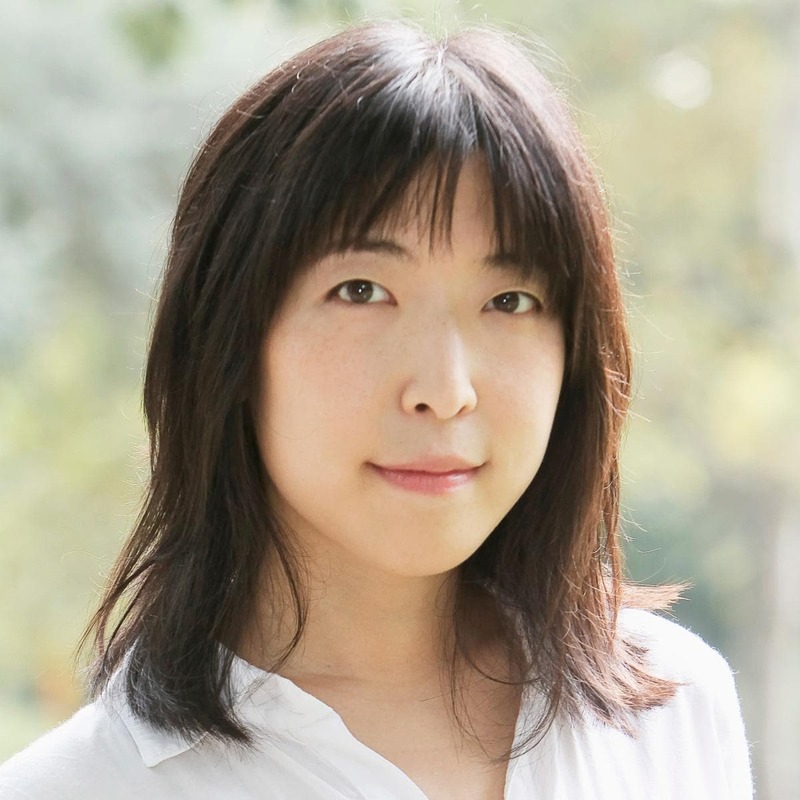 Most recently, she is the author of Doodling for Academics – a Coloring and Activity Book , and of the forthcoming novel The Shakespeare Requirement . She directs the Creative Writing Program at the University of Minnesota. When: Apr. 26, 4:30 p.m.
Ryka Aoki is an author, composer, and teacher who was honored by the California State Senate for “extraordinary commitment to the visibility and well-being of Transgender people.” Ryka is a two-time Lambda Award finalist, and two of her compositions were adopted as “songs of peace” by the American Association of Hiroshima-Nagasaki A-Bomb Survivors. Ryka has an MFA from Cornell University and is professor of English at Santa Monica College. Helen Boyd is the author of My Husband Betty and She’s Not the Man I Married , books chronicling contemporary crossdressing culture, relational gender, and her own marriage to a trans woman. While she isn’t teaching, she consults on films, delivers lectures, and does training in gender diversity for corporate and community groups. Her blog (en)gender is at www.myhusbandbetty.com. Ely Shipley is the author of Some Animal from Nightboat Books and Boy with Flowers , winner of the Barrow Street Press book prize judged by Carl Phillips and the Thom Gunn Award. His writing appears in the Seneca Review , Crazyhorse , Painted Bride Quarterly , Diagram , Gulf Coast , and elsewhere. He teaches at Western Washington University in Bellingham, WA. When: May. 2, 4:30 p.m. In A Word is a series that showcases the Creative Writing Program’s influences and contributions to the literary world by its dedicated faculty of fiction writers and poets. In the spring, poet Joanie Mackowski will read and converse with scholar Elisha Cohn. How can we write beyond the human? Though lyric poems are often assumed to express the perspective of a single human voice, or novels to focus on the story of an individual protagonist, what resources might writers have to imagine alternative perspectives? How can we speak from the vantage of animals, vapors, cells, corporate or collective persons? In this conversation, Joanie Mackowski and Elisha Cohn (Associate Professors of English) bring together creative and critical perspectives on ecological, scientific, social, and above all, aesthetic efforts to rethink the boundaries between selves as connections among bodies. When: May. 12, 3:00 p.m.
Poets Cristina Correa, Emily Mercurio, Carl Moon, & Lindsey Warren, and fiction writers Neal Giannone, Peter Gilbert, Shakarean Hutchinson, Weena Pun, & Hema Surendranathan will share work from their theses or other works-in-progress. When: Sep. 7, 4:30 p.m.
Ron Rash is the author of the 2009 PEN/Faulkner Finalist and New York Times bestselling novel Serena , in addition to five other novels, including One Foot in Eden , Saints at the River , The World Made Straight , and Above the Waterfall ; five collections of poems; and six collections of stories, among them Burning Bright , which won the 2010 Frank O'Connor International Short Story Award, Chemistry and Other Stories , which was a finalist for the 2007 PEN/Faulkner Award, and most recently, Something Rich and Strange . Twice the recipient of the O. Henry Prize, he teaches at Western Carolina University. 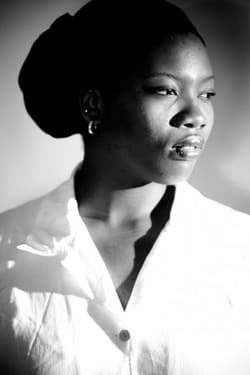 When: Sep. 14, 4:30 p.m.
Quan Barry is the author of four books of poetry and the novel She Weeps Each Time You're Born . The recipient of two National Endowment for the Arts fellowships in both fiction and poetry, Barry currently teaches at the University of Wisconsin where she directs the MFA Program in Creative Writing. 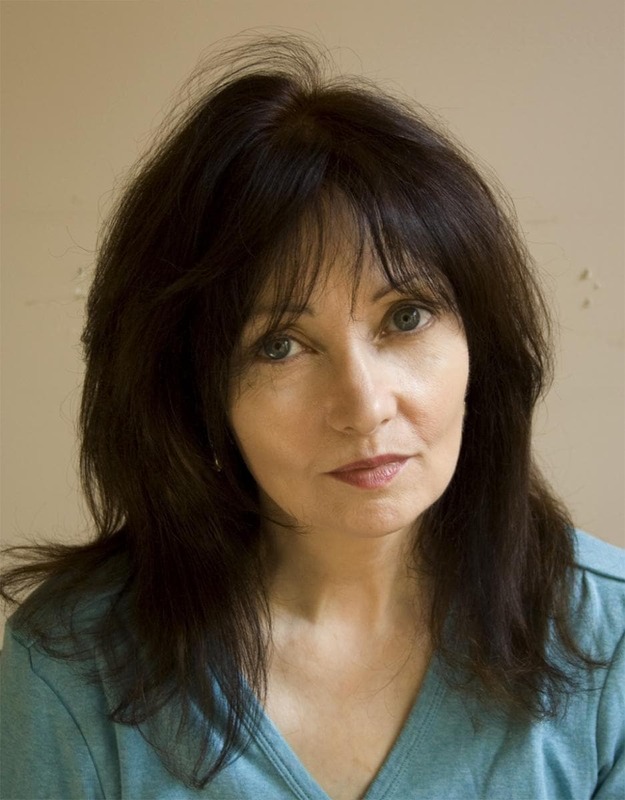 When: Sep. 28, 4:30 p.m.
Marilyn Hacker is the author of thirteen books of poems, including A Stranger’s Mirror: New and Selected Poems 1995-2014 and Names , an essay collection, Unauthorized Voices , and the collaborative book DiaspoRenga co-authored with Deema Shehabi. Her sixteen translations from the French include Marie Etienne’s King of a Hundred Horsemen , which received the 2009 American PEN Award for Poetry in Translation and Emmanuel Moses' Preludes and Fugues . She received a Lambda Literary Award and the Lenore Marshall Award of the Academy of American Poets in 1995 for Winter Numbers , the PEN Voelcker Award for poetry in 2010 and the international Argana Prize for Poetry from the Beit as-Sh’ir/House of Poetry in Morocco in 2011. The Robert Chasen Poetry Reading is a biennial event, featuring a public reading by a distinguished poet. It was established in 1980 by Margaret Rosenzweig, ’32, in memory of Robert Chasen. When: Oct. 12, 4:30 p.m.
Marlon James won the 2015 Man Booker Prize for Fiction for A Brief History of Seven Killings , making him the first Jamaican author to take home the U.K.’s most prestigious literary award. In addition, A Brief History of Seven Killings won the American Book Award, the Anisfield-Wolf Book Prize, the OCM Bocas Prize for Caribbean Literature, the Minnesota Book Award, and was a finalist for the National Book Critics Circle Award. He is in the process of adapting the work into an HBO television series. James’ first novel, John Crow's Devil , became a finalist for the Los Angeles Times Book Prize and the Commonwealth Writers Prize, as well as a New York Times Editor's Choice. His second novel, The Book of Night Women , won the 2010 Dayton Literary Peace Prize, Minnesota Book Award, and was a finalist for the 2010 National Book Critics Circle Award in fiction, as well as an NAACP Image Award. James’ short fiction and nonfiction have been anthologized in Bronx Noir , The Book of Men: Eighty Writers on How to Be a Man and elsewhere, and have appeared in Esquire , Granta , Harper’s , The Caribbean Review of Books and other publications. He lives in Minneapolis, Minnesota and teaches English and creative writing at Macalester College. When: Nov. 2, 4:30 p.m.
Lauren K. Alleyne is the author of Difficult Fruit . Her work is widely published in journals and anthologies, including Guernica , Crab Orchard Review , Colorado Review , and Prairie Schooner , among others. Her most recent awards include first place in the 2016 Split This Rock Poetry Contest and a 2015 Picador Guest Professorship at the University of Leipzig. Alleyne is an Associate Professor of English and Assistant Director of the Furious Flower Poetry Center at James Madison University. Tacey M. Atsitty, Diné (Navajo), is Tsénahabiłnii (Sleep Rock People) and born for Ta'neeszahnii (Tangle People). She is a recipient of several writing awards and fellowships. 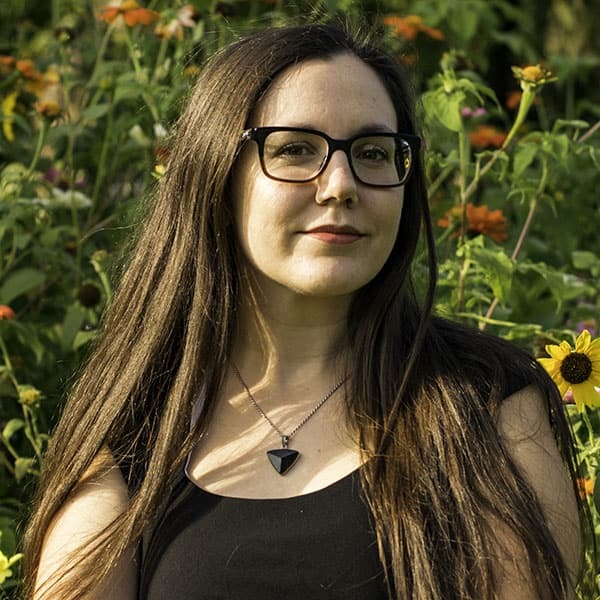 Her work has appeared or is forthcoming in New World Literature , Crab Orchard Review , Kenyon Review Online , Prairie Schooner , Crazyhorse , and other publications. Her first book is Rain Scald (University of New Mexico Press, 2018). 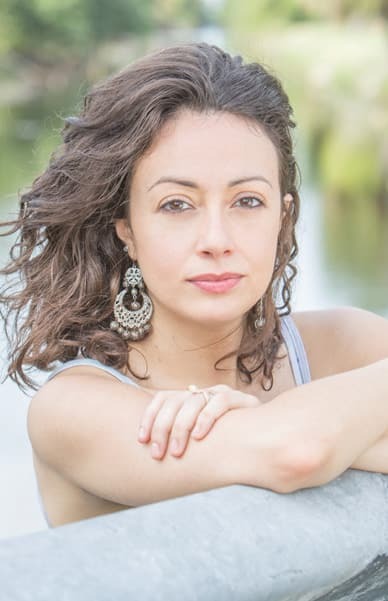 Jennine Capó Crucet is the author of Make Your Home Among Strangers , a New York Times Editor's Choice book and the winner of the 2016 International Latino Book Award, and of How to Leave Hialeah , winner of the Iowa Short Fiction Prize and the John Gardner Book Award. Her work has appeared on PBS NewsHour, in the New York Times , and has been awarded an O. Henry Prize. She currently teaches at the University of Nebraska. 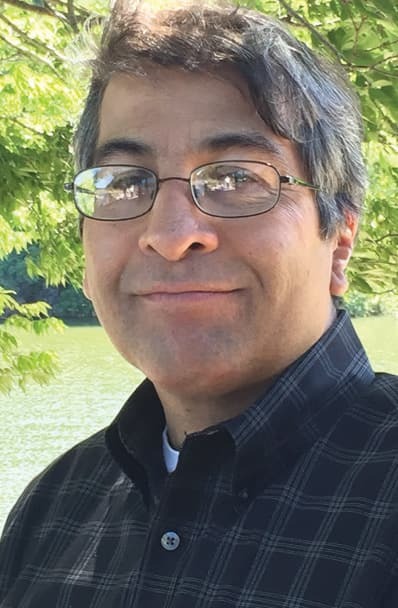 Stephen D. Gutierrez is the author of Elements , Live from Fresno y Los , which won an American Book Award, and The Mexican Man in His Backyard . His stories and essays appear in Fourth Genre , River Teeth , Fiction , Santa Monica Review , ZYZZYVA , New California Writing , Sudden Fiction Latino , and many other journals and anthologies. An award-winning playwright, he teaches at California State University East Bay. In A Word with J. Robert Lennon: "Some Important Third People"
When: Nov. 15, 4:30 p.m. In A Word is a series that showcases the Creative Writing Program’s influences and contributions to the literary world by its dedicated faculty of poets and fiction writers like J. Robert Lennon. In our age of memoir, social media, and young adult fiction, first person rules the roost. This talk will argue that first person is often misused in American fiction, and that a good writer should always consider third, in all its complex, ungainly glory. Professor Lennon will give examples from literature of third person's flexibility, and show writers how to use it. When: Feb. 9, 4:30 p.m.
Alice Fulton's latest book of poems is Barely Composed ; her most recent fiction collection is The Nightingales of Troy . Fulton’s honors include an American Academy of Arts and Letters Award in Literature, the Bobbitt Prize for Poetry from the Library of Congress, and fellowships from the MacArthur Foundation and the National Endowment for the Arts. Her work has appeared in both The Best American Short Stories and The Best American Poetry . Helena María Viramontes is the author of Their Dogs Came with Them , a novel, and two previous works of fiction, The Moths and Other Stories and Under the Feet of Jesus . Named a Ford Fellow in Literature, she has also received the John Dos Passos Prize for Literature, a Sundance Institute Fellowship, and a 2017 Bellagio Literary Arts Residency from the Rockefeller Foundation. Professor Viramontes is at work on a new novel. When: Mar. 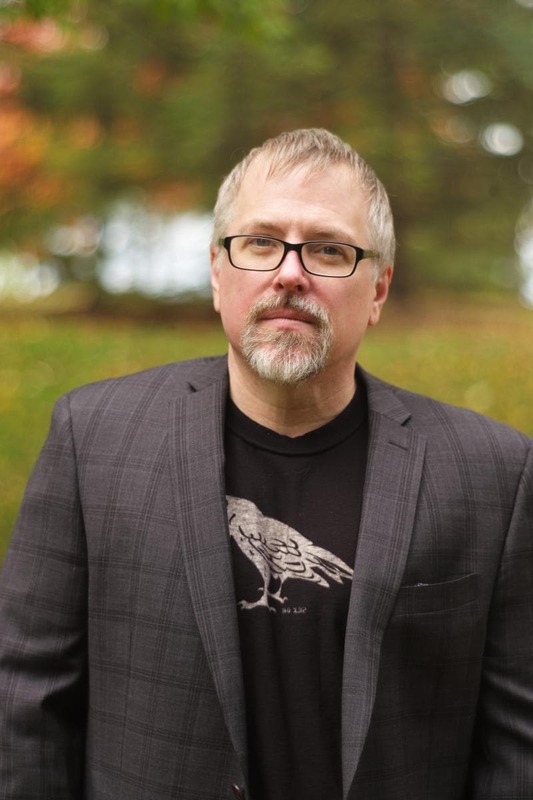 16, 4:30 p.m.
NYT bestselling writer Jeff VanderMeer’s most recent novels, the Southern Reach trilogy, explore the limits of ecology and human understanding and have been translated into 35 languages. A movie based on his novel Annihilation , winner of the Nebula and Shirley Jackson awards, will be released by Paramount in 2017. His short fiction has appeared in Conjunctions , Black Clock , and many others, while his nonfiction has appeared in the New York Times , the Los Angeles Times , the Atlantic , Slate , Salon , and the Washington Post . VanderMeer has spoken on both global warming issues and social media at MIT, Vanderbilt, the University of Florida, and many others. He is the 2016-2017 Trias Writer in Residence at Hobart and William Smith Colleges. His novel Borne will be published by Farrar, Straus and Giroux in May 2017. When: Apr. 13, 4:30 p.m.
Eamon Grennan, a Dubliner, taught for many years at Vassar College. He has also taught in the Graduate Writing Programs of Columbia and NYU. Recent collections are Out of Sight: New & Selected Poems , and But the Body . His Still Life with Waterfall won the Lenore Marshall Prize. He has translated the poems of Leopardi (winner of the PEN award in translation) and co-translated (with his partner, Rachel Kitzinger) Oedipus at Colonus . He has also written a book of critical essays: Facing the Music: Irish Poetry in the 20th Century . His latest volume is There Now . In the past few years he has been writing and directing “plays for voices” for a small Irish theatre group—Curlew Theatre Company. He lives in Poughkeepsie and in Connemara. When: Apr. 27, 4:30 p.m.
Lisa Russ Spaar is the author/editor of over ten books of poetry and criticism, most recently Monticello in Mind: 50 Contemporary Poems on Jefferson (2016) and Orexia: Poems (2017). Her honors include a Rona Jaffe Award, a Guggenheim Fellowship, the Carole Weinstein Poetry Prize, a Pushcart Prize, and the Library of Virginia Award for Poetry. Her work has appeared in Poetry , Boston Review , IMAGE , Yale Review , Harvard Review , Virginia Quarterly Review , The Best American Poetry series, and many other journals and anthologies. Her commentaries, reviews, and columns about poetry have appeared regularly in The Chronicle of Higher Education , the Washington Post , the New York Times , the Los Angeles Review of Books , and elsewhere. She is Professor of English and Creative Writing Program, and Director of the Area Program in Poetry Writing at the University of Virginia. When: Sep. 1, 4:30 p.m.
James McConkey joined the Department of English as assistant professor in 1956. He wrote fiction until the early 1960s and retired in 1992 as Goldwin Smith Professor of English Literature Emeritus. Known for his meditative nonfiction narratives, McConkey is the author or editor of fourteen books, including Court of Memory , To a Distant Island and The Anatomy of Memory , as well as critical essays such as his study of E.M. Forster. His awards include a Guggenheim fellowship, the National Endowment for the Arts essay award and the American Academy and Institute of Arts and Letters award in literature. McConkey’s most recent book, The Complete Court of Memory , includes narratives published in magazines but previously uncollected. In honor of McConkey, three of his award-winning former students will read from their own works. Diane Ackerman is the author of twenty-four books, including the New York Times bestsellers A Natural History of the Senses , Orion Book Award winner (and movie), The Zookeeper’s Wife , and The Human Age , which received the PEN Thoreau Award. She’s a member of the American Academy of Arts & Letters. Gilbert Allen’s newest books are Catma and The Final Days of Great American Shopping . 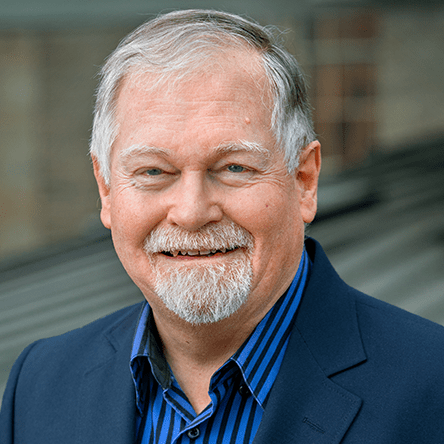 A member of the South Carolina Academy of Authors and the recipient of the Robert Penn Warren Award from The Southern Review , he is the Bennette E. Geer Professor of Literature Emeritus at Furman University. A. Manette Ansay is the author of a story collection, a memoir and six novels, including Vinegar Hill , an Oprah Winfrey Book Club Selection, and Midnight Champagne , finalist for the National Book Critics Circle Award. Ansay is Professor of English at the University of Miami. When: Sep. 15, 4:30 p.m.
Joy Harjo’s eight books of poetry include Conflict Resolution for Holy Beings , How We Became Human: New and Selected Poems and She Had Some Horses . Harjo’s memoir, Crazy Brave , won several awards, including the PEN USA Literary Award for Creative Non-Fiction and the American Book Award. She is the recipient of the 2015 Wallace Stevens Award from the Academy of American Poets for proven mastery in the art of poetry, a Guggenheim Fellowship, the William Carlos Williams Award from the Poetry Society of America and the United States Artist Fellowship. A renowned musician, Harjo performs solo and with her band, the Arrow Dynamics. She has five award-winning albums including Red Dreams , A Trail Beyond Tears and Winding Through the Milky Way , which won a Native American Music Award for Best Female Artist of the Year in 2009. She is Professor of English and American Indian Studies at the University of Illinois at Urbana-Champaign and lives in Tulsa, Oklahoma. When: Sep. 29, 4:30 p.m.
​Sally Wen Mao is the author of Mad Honey Symposium . She is the recipient of a 2017 Pushcart Prize and fellowships from Kundiman, Hedgebrook, Bread Loaf and the National University of Singapore. Her work is published in Poetry , A Public Space , Tin House and Best American Poetry 2013 , among others. She is a 2016-2017 fellow at the Cullman Center for Scholars and Writers at the New York Public Library. Adam O’Fallon Price is the author of The Grand Tour , a novel. His fiction has appeared in The Paris Review , Epoch , The Iowa Review , Narrative Magazine , Glimmer Train , The Antioch Review and elsewhere. He has taught at the University of Iowa and Cornell University, where he earned an MFA in 2014. Emily Rosko is the author of Prop Rockery (2012) and Raw Goods Inventory (2006). She is the editor of A Broken Thing: Poets on the Line and poetry editor for Crazyhorse . She teaches at the College of Charleston. When: Oct. 13, 4:30 p.m.
David Madden has published extensively in all genres. Among his many novels are Bijou, Sharpshooter , The Suicide’s Wife , Abducted by Circumstance and London Bridge in Plague and Fire . His most recent book of short stories, The Last Bizarre Tale , was published in 2014, and his forthcoming collection of novellas, Marble Goddesses and Mortal Flesh , will appear this coming spring of 2017. Madden has also just finished a memoir, My Intellectual Life in the Army . Among his awards are a Rockefeller Grant, a National Endowment for the Arts prize, a National Council on the Arts Award and a Pulitzer Prize nomination for The Suicide’s Wife . A native of Knoxville, Tennessee, Madden studied at the Yale School of Drama. He has taught at Kenyon College, Ohio University, LSU and has been a visiting writer at numerous colleges, including UNC-Chapel Hill, as well as on the staff of writers’ conferences such as Bread Loaf. Robert Penn Warren Distinguished Professor of Creative Writing Emeritus at LSU, Madden now lives in Black Mountain, N.C. with his wife, Robbie, who is working for the passage of the Equal Rights Amendment. When: Nov. 3, 4:30 p.m.
​Chris Abani’s books of fiction include The Secret History of Las Vegas , Song for Night: A Novella , The Virgin of Flames , Becoming Abigail , Graceland and Masters of the Board . His poetry collections are Sanctificum , There Are No Names For Red , Feed Me the Sun: Collected Long Poems , Hands Washing Water , Dog Woman , Daphne’s Lot and Kalakuta Republic . Among his many honors are a Guggenheim Fellowship, the PEN/Hemingway Award, the PEN Beyond the Margins Award, the Hurston Wright Award and a Lannan Literary Fellowship. His work has been translated into French, Italian, Spanish, German, Swedish, Romanian, Hebrew, Macedonian, Ukrainian, Portuguese, Dutch, Bosnian and Serbian.